School is in session, featuring the honor students of skiing performing at the top of their game. Classrooms include: Bella Coola, B.C., Aspen CO, and the Alps of Norway. Senior Class member Shane McConkey returns with a performance of a lifetime, ski basing across the Alps and absolutely schooling his home of Lake Tahoe, CA. Sophomores Tanner Hall, Mark Abma and Eric Pollard deliver the best all around segments in skiing. The freshmen class of Ingrid Backstrom and Tanner Rainville will open people’s minds to the next level of skiing. 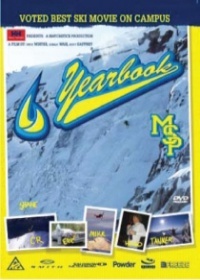 The class of 2004 proves to be the best in skiing’s history.